We're stoked to introduce this week's giveaway! Partnering up with Juicy Retreats, we give you the chance to win one Ultra Titanium IQ Smart Blender (Worth $669). Want to give healthy shakes and smoothies a go? We hear you loud and clear. Make your own pre-workout smoothies, grind nuts for trail mix, and even heat soup using just one sleek, ultra-modern kitchen appliance. 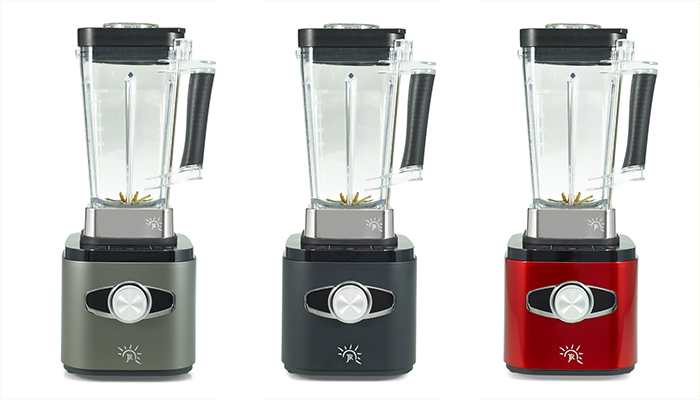 The JR Ultra Titanium IQ Smart Blender's 1400 watt motor and titanium-coated blades makes preparing healthy drinks and munchies fast and easy. This machine certainly sets new standards, making it easy for you to keep up a healthy lifestyle! The giveaway runs from Monday, August 8th, 2016 to Friday, August 19th, 2016. On Saturday, August 20th, one (1) randomly selected users will be chosen to win one (1) JR Ultra Titanium IQ Smart Blender. So make sure to share and comment to enter! The giveaway is now closed. Congratulations to the lucky winner @braders!